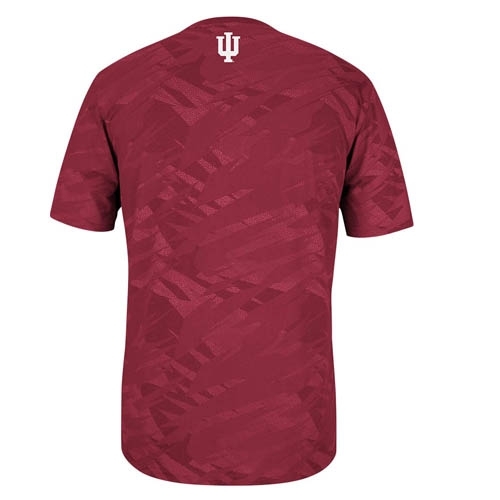 Here's the On-Court Shooter Shirt by ADIDAS. Made of 100% polyester performance fabric with sublimated impact camo design on the back. A large IU logo is screen printed on the full front with a smaller one on back neck. 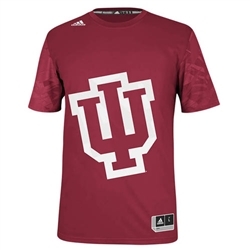 Perfect for warming up before your game or watching the Hoosiers tear up the court! Adult (unisex) sizes.